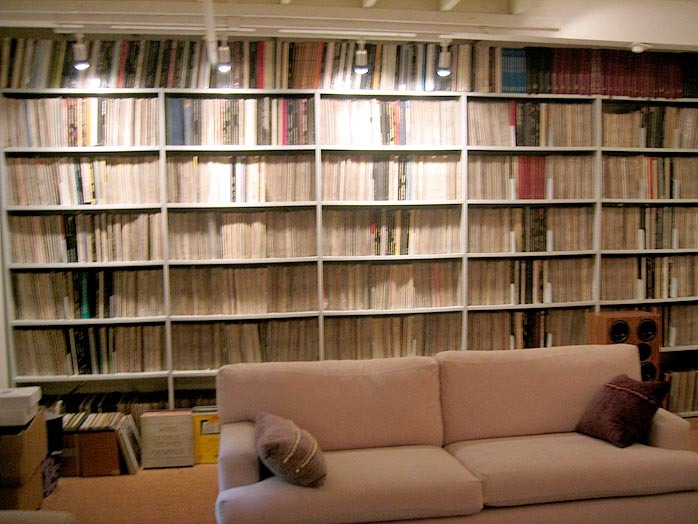 Every few years -- if lucky -- we audiophiles get to have a seminal experience. It may be the first hearing of high quality vinyl. 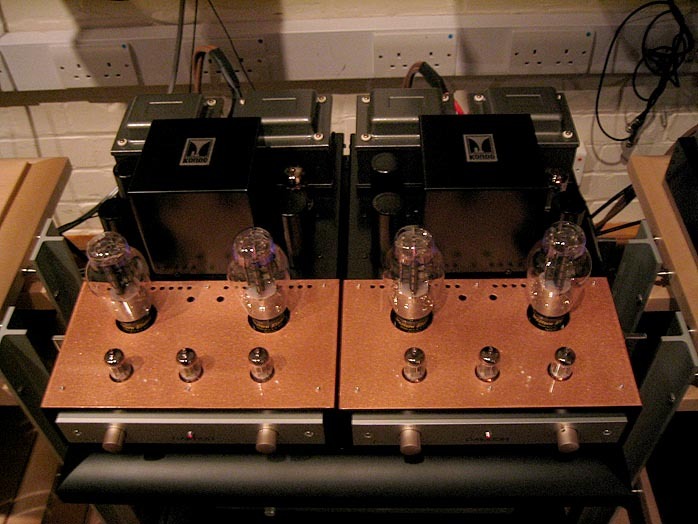 Or the first hearing of the wonderful sound world created by a beautiful valve amplifier. Perhaps the first time you substitute a good enough 300B for a Western Electric. 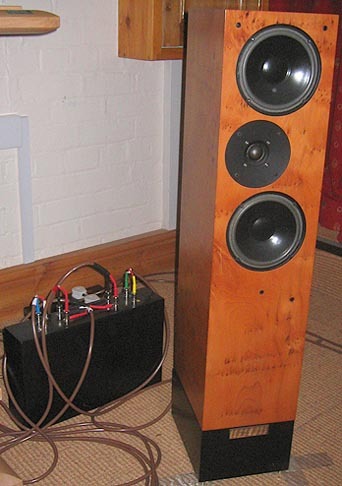 For me, one of these seminal encounters etched in time was when I first heard the Living Voice OBX-R2. Great stuff, great memories, ah, the glorious past. So I sat musing grandly on my trumped-up DIY throne when a slightly dark cloud gathered on the horizon. At some point last month, I'd gone up to Definitive Audio and heard Kevin Scott's Kondo/Living Voice system and okay, I lost my head. You know, like a one-night stand kind of thing. I won't go into details but I remember vaguely that at the time, I thought it was unbelievable, the way-most-fantastic sound I'd ever heard by a margin. In that moment's passion, I'd gone bonkers and ordered a Kondo KSL M77. You know how these things go. Which had to be certifiably insane since I'd already been offered a review loaner. In the cold light of day, the move looked like crap. As the memory of how good that definitive system sounded began to fade and my new Canarys started to run in and come on song, boy did they start sounding good. Unbelievably good. Not to mention that they were designed as a pair. So I was starting to think the Kondo would arrive and I'd have to mask the disappointment. I just didn't see how that M77 was going to pull off the trick of beating the Canary 903 four-box preamp at its luscious liquidity and poise. On top of that, I was worried I'd fallen down the subliminally-impressed-by-ticket-price hole in Alice's Wonderland. I don't know about you but so far in my experience, systems with ridiculous prices have not managed to justify themselves particularly well on sonic grounds. 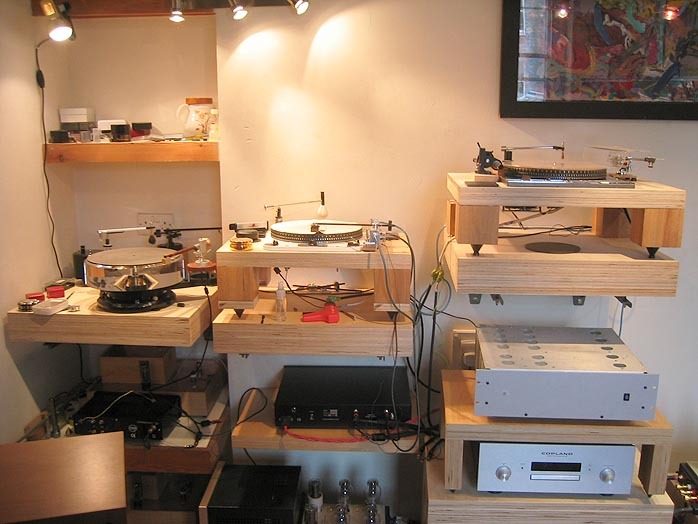 Even among components, I haven't heard a 50K turntable that seems audibly in a class above every one else's. Same with amps and speakers. In fact, I find the ludicrously expensive systems and components slightly irritating. I do get the market forces argument but normally I prefer to have some kind of meaningful relationship between price and performance. That's the rational man in me speaking. Who knows what the subconscious is simultaneously up to, however? I suspect it's being mightily impressed and wanting to actually find out by taking these super components home for the night. I mean, think about it, Edward. Your credibility, crucially in your own eyes, is going to be a lot greater if you've lived with an SPJ turntable for a month over a Garrard. In other words, watch it. Keep a close eye on that Emperor's new robes. Hey, have you seen that? Incredible how they've made translucent ermine! Anyway, at some point I mentioned how happy I was with the Canarys to Kondo importer Kevin Scott. Being a completely classy guy, he was genuinely thrilled for me. Then in passing he mentioned that he was now bi-amping his system and perhaps I should pop up and hear it. That's right, bi-amping. With Kondo Gakuohs. My head started to reel. I heard voices in the night saying: "Woowooowooo, go on, do pop up to Nottingham." The excuse (should an alibi be needed) was that I was supposed to bring back my OBXR2s so they could be turned into upgraded OBX-RWs. So finally I found a free day and made the trip up. Driving rain, traffic jams on the M1 motorway, jack-knifed lorries across two lanes, 70 mph winds bowling across the landscape and turning the odd oak inside out. A fine spring day in the UK. And I'd forgotten to load me speakers. Whatever. 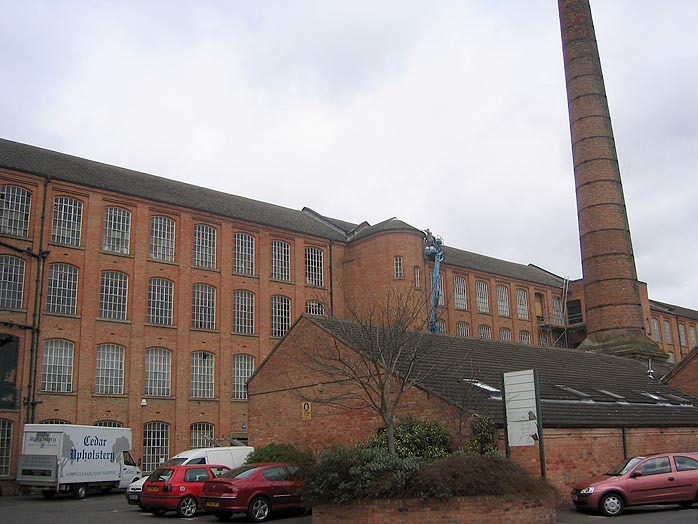 I do finally get to the Definitive Audio showroom in a refurbished textile mill in the heart of the British industrial revolution [above]. Let's just stop at the door and think about this place for a second. I'm not sure we in the UK really understand the amazingness of what's happening here. 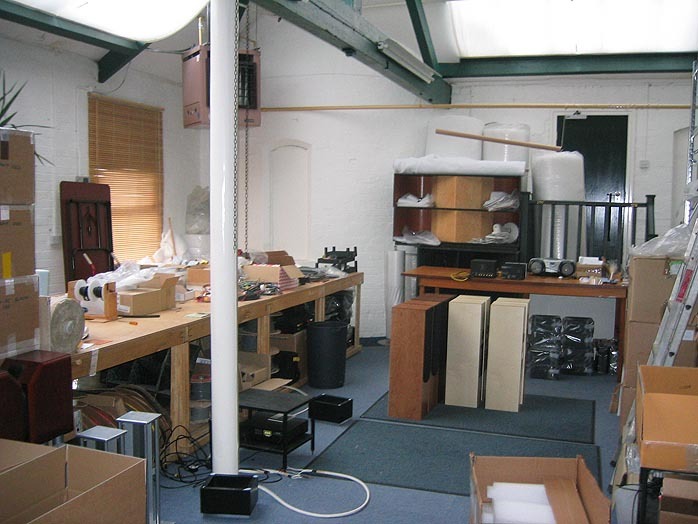 This is the workshop of a guy who twenty years ago was one of the most extreme underground audio gurus around; who then went and put his money where his mouth was and designed a revolutionary hornspeaker that is still highly influential to this day; and then turned that into one of the UK's most successful valve speaker companies with a major worldwide reputation; and... and he also runs a shop. You can buy a complete system from him plus get all that incredible knowledge and intimate understanding of technical issues -- but above all, system matching and musical integrity -- thrown in for free. It's kind of incredible. 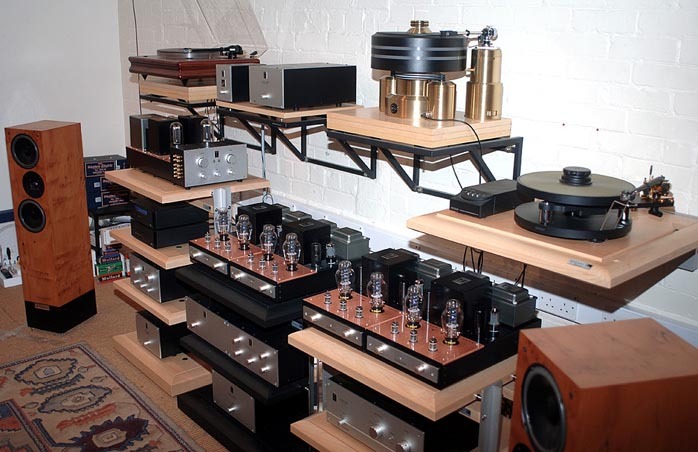 Imagine your local HiFi shop run by Dave Wilson or Mssrs. Conrad and Johnson. Here we've got one of a small number of ultimate audio guru/manufacturers and he'll put together a puny Rogue integrated system for you if that's what you want. Quite how he gets the time is beyond me. But one thing is clear from the first minute of talking to him: his passion for music and ways of reproducing it properly just never runs dry. There is no question that we audio folk live in a crazy world at the moment. We read magazines and articles endlessly celebrating the component and sift, at vast expense, through an endless collection of part bins for said components in our systems. Especially now with Internet sales dominating, it is getting harder and harder to actually hear components first. And what we need is not to listen to components but to great systems in the first place. Let's be honest. Very few of us have the time, experience or the obsessiveness to really get the sound we want. How much better would it be if we had our own super guru who could show us the Promised Land and better yet, stake it out for us? Kevin Scott believes profoundly in systems as a whole and he is more than a little wary of the approach that creates audio systems via scientific analysis rather than using the services of a talented and experienced chef. We certainly can't tell a good risotto from a bad one by putting it under a spectroscope. The same is true for a balanced audio system. So of course Definitive has built up an extremely loyal following and customer base all over the world because of the sound Kevin Scott achieves. In any given week, he could be in Thailand, France or the US. Of course, this is usually to set up super systems. But even in the ordinary mortal world, buying a small system from him is an amazing experience. I'm convinced that at any particular budget, Kevin would produce a much more musically satisfying system that responds to a music lover's criteria than just about anyone else I've come across. Ultimately, components might be exciting but for me, the real badge of audiophile honor comes to those lucky enough to be customers of Definitive Audio. I can't think of higher praise. So let's step inside now. Look, an Aladdin's cave of goodies. What's over there? 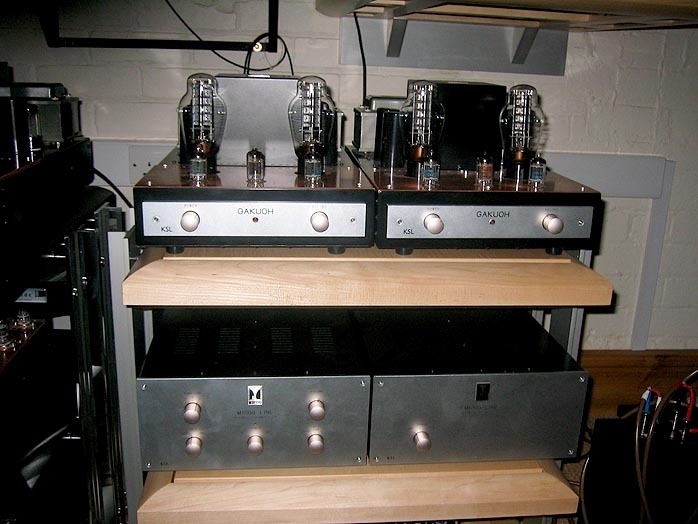 Audiomeca Mephisto IIs falling out of closets. In fact, he doesn't like the original Mephisto II. What makes Kevin a completely brilliant dealer is that he is ruler straight about his stock. I once called him up a long time ago about a fashionable Italian speaker. He said, "you know, I got to break it to you, that speaker is objectively bad." Hello? Isn't he supposed to be trying to sell those things? Or what about the time that he convinced me, against his own financial interests, to buy a second-hand Canary 803 off the Internet after he had stopped distributing the brand? Acts like that may be crazy but work for Kevin because people trust him implicitly. However mad that may be in the short term, over the distance it's a stance that reaps dividends. In fact, in Kevin's case, I think he's just pathologically unable to say anything besides exactly what he thinks. 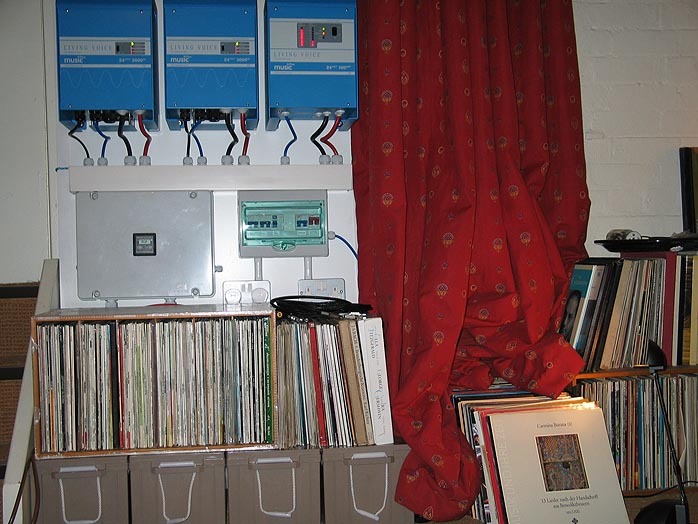 Hey, did you see the Solatron valve-regulated bench power supplies under that stack of Western Electrics? Did I mention WEs? Definitive supplies the real thing. No dodgy Chinese OEM clones but the actual 100% pure genuine article. And once you've heard them, it's a no-brainer. No choice, no competition. For a long time I've had doubts about the 300B SE thing. Turns out that the problem for me was not necessarily in the topology but that a lot of the limitations are based on the valve itself. To get the glory of that sound, there is only one road. It's called Western Electric. Simple as that. Or what about the legendary Mactone pre? Are you kidding? I've been salivating for years to hear that. So I instantly arrange for a review at some point. Does he like the Mactones? Yes, he likes them a lot. 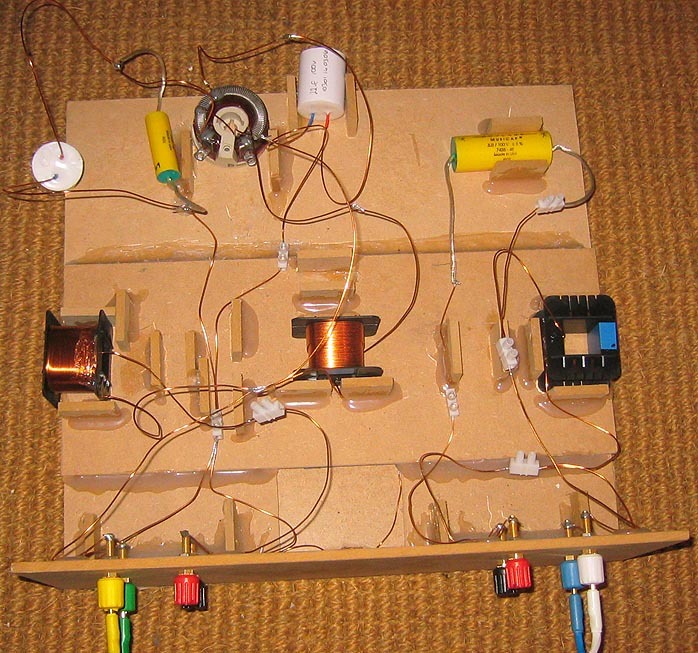 More, in fact, than an amplifier he's been involved designing. Okay, fair enough. Look at all the horns. Air Partners, Air Scouts. He still makes them to order but he's not so happy with hornspeakers these days. They sound a bit reproduced to him. 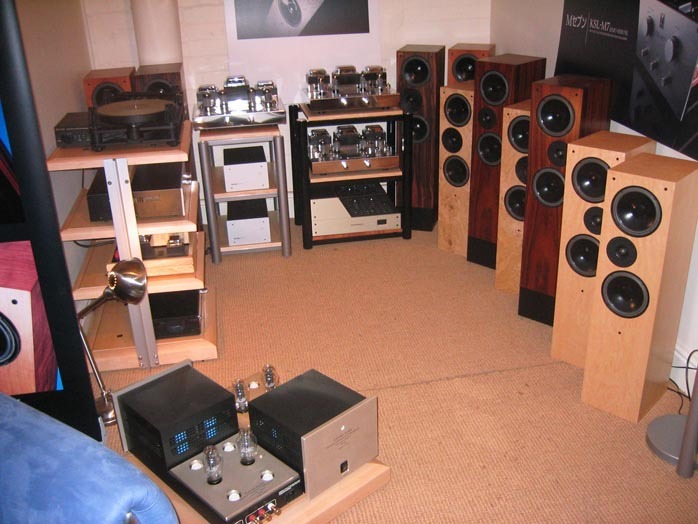 Here's one listening room. Have you checked these out? There's the Mactone power amp in the Air Scout bass bin. And that's a KSL Shinden system. M77, K7, the £76,000 Shindens driving prototype Living Voice horns. That's right, a new Living Voice hornspeaker with Vitavox mid and Vitavox 15 inch woofer, horn-loaded. So no, he hasn't given up designing horns. He just wants to design a pair that will do all the things the OBX-RW do. And I know what he means. Like image for instance. You can see new prototype crossovers for the OBX-RWs as well. These have the new hand-made capacitors and some of the parts (only some, not all) have been cryogenically treated. It's all part of the obsessive ongoing focus on the LV xover. So after a quick natter, we moved into the main listening room and got down to business. What have we got? Here's an overall. 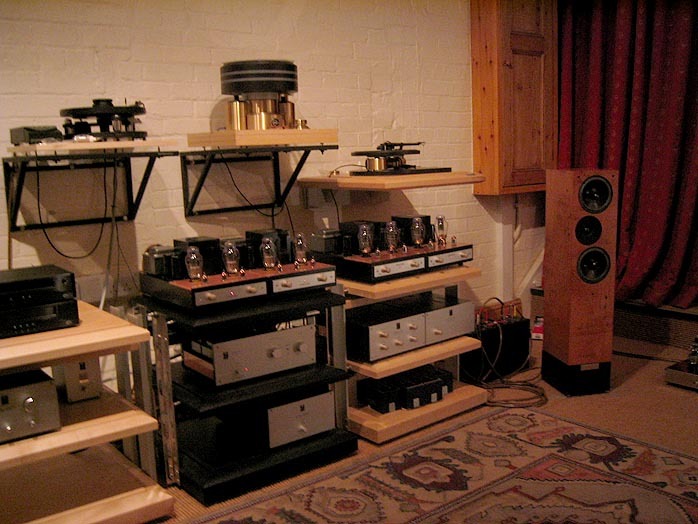 The turntables at the moment are two Kuzma Stabis, one Kuzma XL and an SME 10 with an SME V (bridge removed and Kondo silver wiring) with a Kondo Io-J. 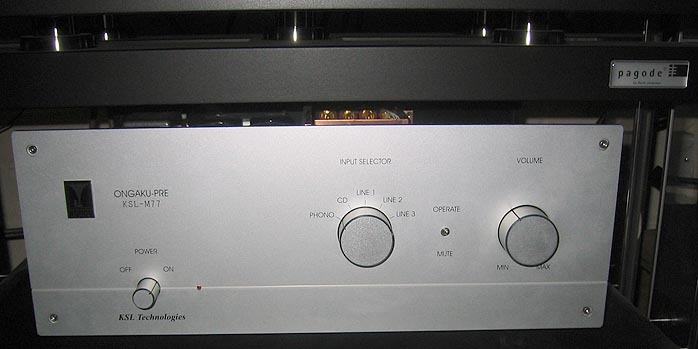 Below from left to right, a Resolution Audio Opus 21 CD player. I know how seriously Kevin rates this CD player. The Helios transport that was there last time is gone. 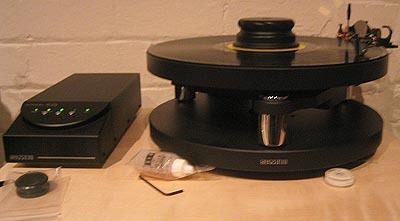 Below sits a Kondo KSL- M7 phono stage and KSL-SFZ cartridge impedance matching transformer. On top of the middle stand is the pair of Kondo Gakuoh parallel push-pull 22-watt monoblocks. £48,000 a pair if you need to know. This set is for the bass units. Below a Kondo M77 with phono. On the bottom shelf a Kondo DAC. 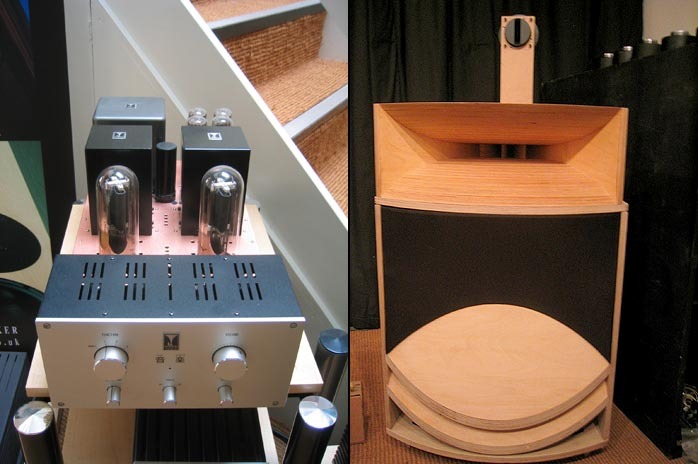 The right stack tops with the Gakuohs used for the high frequencies. 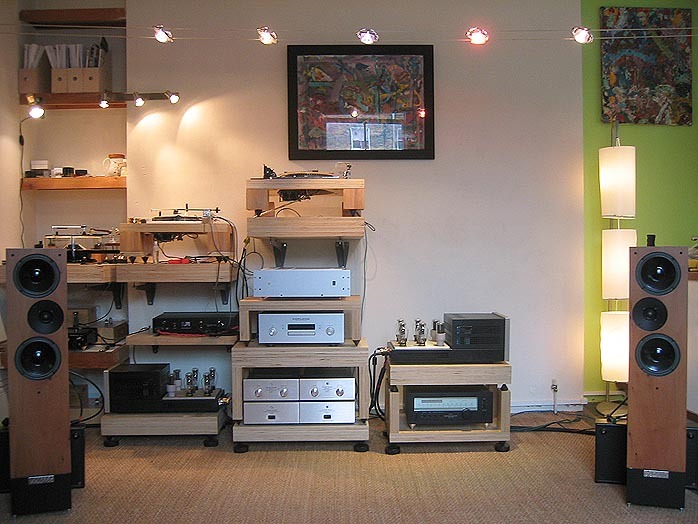 Below them, you can see a Kondo M-1000 preamp with separate power supply not playing today (no prizes for guessing why). The whole system is wired with Kondo silver wiring (and incredibly enough, Kondo wiring is actually not that expensive compared to other SOTA stringies). And there are the OBX-RW. Yes, the cabinets are the same. The drivers too. The crossover will be different (components, not topology), as will the internal wiring. 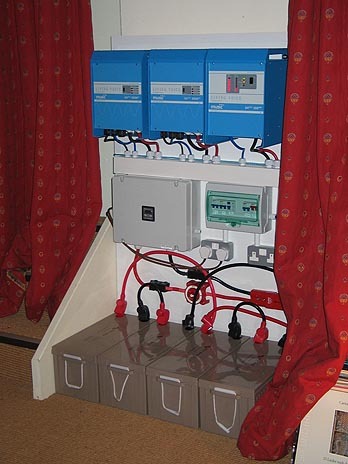 And here's the new Living Voice battery power supply. With 4 batteries on a system like this, it will give roughly 4 hours play. 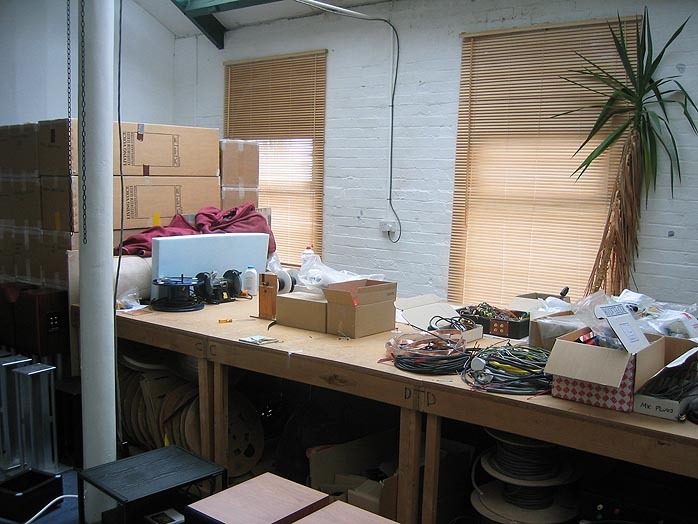 In fact, we were in there for about 7 hours and did some charging up when changing tonearms or chatting. But Kevin is going to get 4 more batteries as he suspects it will sound better as well as last longer between charges. The unit does make noise when it's charging, which means you're going to want to put it in another room. So he fires the system up, first on CD. Boccherini's Cello Sonatas on Naxos. Classical but played like late romantic pieces. I have glimpses of my socks plastered to the back wall, of the skies opening but mostly I find I've got sucked into the music and I'm just listening to a concert. Occasionally I try to surface to get a slight handle on the actual sound. My notes read like someone in that emotional state known as complete shock (so at least that's accurate, dammit!). But the sound was something else. The vibrancy was out of this world. The amount and colour of harmonics was completely beyond anything I've ever experienced before. The scale was huge, the holographic quality outside anything I'd be capable of imagining was actually possible. Plus there was a richness and saturation of timbre that was, I'm sure, better than real. And I remember thinking "what's going on?" Part of me thought, "Who the hell cares. This is incredible." But the audiophile police checked in and parroted. "Hello? Hello? What's going on here? This is better than you remember about real live sound - got to be a...a...a colouration!" So I think about that for a while and it turns out that it's not doing some kind of mind-bending lie. No, it's that these instruments are miked close up where there are huge amounts of harmonics. We don't listen with our ear near the fret board but if we did -- and if we could lower the volume to tolerable levels -- then we would hear this level of colour, this depth of timbre. That was the last rationalization I made before the vinyl went on. SME 10 with a modded SME V* and an Io-J, into the M77 with the Kondo step up. Anyway, sound comes out. Within five seconds, Ive died and gone to heaven. What gives? I think at that point we were onto Beethoven's Opus 74 The Harp Quartet. Quartetto Italiano on Phillips. We go into the music. I try to surface for sound but fail miserably so when we talk, we talk music instead. The only thing I remember is feeling that this is the first time I've heard reproduced massed strings sound in any sense musically convincing, meaningful and emotionally powerful. Another first. Fifteen minutes ago, I would have said the only way to even begin to do that is to mike up each instrument to their own amp and speaker. Next, I'm whisked off to a Shostakovich concert. An amazing Execution of Stepan Razin, with a dark brooding baritone faintly reminiscent of Boyars and orthodox anti-strophes. I didn't know the story but I'm off to buy the record. Then we get some Jazz. Art Pepper I think. And some rock. Each time, the system does a complete transformation. The classical one was built only for classical. The jazz built to work very specifically and exclusively for Jazz. And so for rock. Plays hard. No quarter. Never heard anything like it. Palpable textures an order of magnitude greater than I've come across. It's like having the ultimate deep soul understanding of a musician's gift. Complete, utter, living Zen. Kevin decides to move the arm and cartridge over to a Kuzma. Just one of the baby ones. Things open up even further. And then he kicks in the battery power supply. I've hit a trance state at this point. We get Fink's Fresh Produce. Burnt Freidman's Just Landed. Don Cherry and E Blackwell's El Corazon on ECM. It just gets better and better. And then Art Pepper's Smack Up on Contemporary Cop 031. Now I thought I knew Art, but it was like hearing him for the first time and my body went into this tingling thing like lightning was having its way in my veins. The rest? I can't remember. Brain gaskets blown at this point. We had lots of fun. I left seven hours later for a long drive home among stinging raindrops and oncoming traffic flaring their lights across my bug-blurred windscreen but the truth is, I'm not the same person. In a few hours, I've effing grown a beard and changed accent. Yes, everything's changed. The whole damned world has puppy-flipped upside down. My old beloved priorities: kebabbed. I'm like the schooner suddenly realizing it's on the wrong side of the world, or a tanker trying to turn on its dime. Okay, the good side is that now, at last, I've finally heard where I'd like to get to. Yes, it is a very high mountain to crawl up on hands and bleeding knees but at least it won't be the old experience of stabbing 'round in the dark. I went up this month because this biamping Gakuohs lark was just something Kevin was playing with and that particular bit of obsessive craziness was soon going to disappear again into the blurs of myth. But there is good news here. He's decided it's too good to miss out on so he's going to buy another pair for Definitive and keep the biamped system up as a permanent demonstrator. Can you believe that? Which means of course you don't have to take my breathless twaddle as gospel. Instead, you can hop on a plane, or a car, train, coach, donkey or unicycle for all I care and get yourself to Nottingham. It will be worth it, no matter if you've crossed an international date line to get there. For the first time in my life I feel this is a system genuinely breaking new ground (usually it's just breathless reviewers catching up with what some audiophiles have known for ages). Think about it: the speakers have been designed using this amplification. And because the system makes everything so audible, it's a lot easier to hear things rather than make "edge of the psychoacoustic guess choices" which is what so many designers have to put up with. Bi-amping with Gakuos does really take the system to a completely another level. And the battery power supply? I was sort of expecting to be stabbing around having a guess when it was on. My experiences with battery power to date have been a little less than stellar and my hearing -- or more precisely, aural acuity -- has never been good for much. Well, if you run everything of a massive, carefully designed battery system that puts out a perfect sine wave, its not just that you can hear it, you really really hear it. No, it's not an essential part of this system (in the sense that you still get an incredible sound without it), but it's the kind of audible that doesn't need to be talked up. Anybody who hears it will move it way towards the top of their wish list. Everyone who feels they've built a mature system should hear this supply. It's going to retail at around £10,000 plus VAT and nominal installation fee and it's just about to go into production. Put it this way. I'd been expecting it to be good for people with bad mains power supplies and not something I'd need. Now I've started measuring spaces in the back room. An overall assessment of the day? I've heard some great systems in my life, the kind that make really beautiful music. I have one like that. So when I get back home, when I finally get the guts to turn it on, what does mine sound like? Good. Really good. Excellent. Like a kid hitting a trash lid with a wooden stick. Stick with it, kid. You might learn something. Mine, like every other great system I've heard, sounds -- how can I put this -- just entry level in comparison, high street riff-raff. That's a hard thing to say but it's what I feel right now. Is there anything I can salvage with the slightest shred of dignity? Well, the I0-J now becomes the best cartridge I've heard and I'll be desperately hoping to get hold of one. Without individual comparisons, it's tough to call these things. I'd say the Finish is likely to win a place on a second arm with that system. But I don't see big problems with my analog setup. On the other hand, the Tom Evans has for the first time been asked very very serious questions. 'til yesterday, I would have put my hand in the fire that you needed it along with the Allaerts to take your vinyl to its current limits. Yes, I agreed, it was a touch thin but you need that kind of speed to get to the heart of things. So until yesterday, I leaned towards the "you need an active stage" rather than a step up to get the best from vinyl. Given the Allaerts was so good -- and it looks very much like it needs active -- my recipe for the ultimate vinyl experience had been the Groove Plus (with the Connoisseur and Isenburg phonostages as looming wonderships on the distant and beckoning horizon). Right now, my guess is that the Io-J with the Kondo step up and M77 walks it easy. Hopefully I'll get the step up and Io-J in to really find out. The speakers? How much better can the RW be than the 2? The OBXR range never fails to amaze me. With the RW, Kevin has done it again. The OBXR-2 was a huge improvement over the original R but based on what I heard, I have a feeling that the RW is in a different class from the R-2 and the RW might well open out new possibilities in terms of what a speaker is capable of doing. It was clear that the speakers are letting through more music and doing so, in a way that means the music is more coherent, musically significant and shapelier than anything I've heard elsewhere. And yet the only differences to the ones I've got at home are the crossover components and the internal wiring. It seems impossible but it's simply true. It also should be said that the changes are the result of 4 years of intensive research that included designing a completely new speaker and then incorporating the fruits of that research into the OBXR [prototype horn xover below]. The sheer level of improvement is magical and profoundly amazing. What else did I learn on that fateful day? So many hard won virtual certainties hit the dust. I was absolutely sure that the SME V bearing wasn't up to scratch. That ball races aren't going to compete with a good uni-pivot or an air bearing. Wrong. Damn. That CD can't sound amazing and involving. Wrong. (Granted, it still sounds way flatter and greyer, but...) That battery power supply is going to be the kind of effect way down in the psycho-acoustic "I can hear it on a clear day with a following wind but I can hear the opposite too". Wrong again. Most of all I learned that whatever is going down in the Kondo Lab these days, there are real full-on wizards at work there. Japanese Merlins is what I see. Incredible stuff, the kind of thing that legends are made of. Anyway, as you can imagine, my feelings regarding the M77 are looking up. And I've just bought a piggy bank labelled Gakuoh. How much are a pair again? Now all I've got to do is rob a bank work very hard and the whole experience will come right [present system below]. P.S. Two days later and I am still in shock. Still emotionally affected. There's a kind of beautiful nagging sorrow ghosting around inside me about how I've actually been misunderstanding Art Pepper all my life, and that he wasn't just tripping sunlight on his alto sax but that he was in fact taking all the pain and making it new and beautiful. I guess because of the way I came across him by chance, I just decided he was a virtuoso. Now I know better. And the other thing that moves me is that someone has built this contraption that is capable of producing such beauty. It's not a time machine but an emotion machine that allows you to be touched and transformed by these musical geniuses. According to some recent brain research, we listen to music with a specific part of our brain. Well, it feels like that little squiggly bit of mine just got taken for the ride of its life. That crunching sound you're hearing right now is me chewing my boater as a starter course. I'm having a big sliced of humble pie for desert, too. Yesterday, I thought I knew a thing or two about tonearms, at least enough to be fairly on top of some of them. And I thought I sort of knew the SME V. It's been getting a pounding of late in some audiophile forums and in several reviews and I have to say I've never been its biggest fan. I've heard it sounding bold, dynamic and powerful but in my system, I found it can sound a bit boring partly due to holding a very tight rein on the waveform. I found a lack of tonal colour and harmonics to be a problem. Yes, it has incredible stability and steadiness and authority. It's a dream to set up, which means on average you're going to get better sound faster. But overall, there are lots of arms I prefer. Well, removing the bridge and adding Kondo wiring completely transforms this arm. True, the SME V still has that unbelievably irritating wiring break between cartridge and headshell (though this Io-J uses flying leads to rectify this - and you can avoid the problem with the IV-6). But, in the Definitive system -- and I still find it difficult to believe -- there's no question that the arm has somehow turned its faults into virtues. It's still got the authority and stability but now it's got everything else, too. It's open, beautifully rich and tonally textured. It's like it's been unshackled. I had been sitting there at the start thinking, okay, I'll make excuses for the V arm. You know the way you go listen to a system and there's usually a component you don't get on with somewhere in there, and you have to compensate and imagine? I was preparing to do that with the V, which was irritating because the Kuzma Airline (one of my favourite arms), was sitting happily unmounted next door. And there's a welcoming Kuzma XL here to put it on. As we nattered, it turned out that Kevin was more than aware of the V's shortcomings, which is why he's ordered them with Kondo wiring for years. For me, having heard it in this context, the V has gone from being an arm I'd actively avoid to top of the wish list for a second arm. The only downside is you can't retrospectively rewire a V so don't even bother thinking of buying one used and having a Kondo job done on it. I'm afraid it has to be commissioned new. Hopefully I'll be able to get one in for review at some point and we can take a closer look [my vinyl rigs above].